Phoenix Wright: Ace Attorney - Spirit of Justice is a visual novel adventure video game developed and published by Capcom for the Nintendo 3DS, and is the sixth main game in the Ace Attorney series. Spirit of Justice continues the investigation and courtroom gameplay of its predecessors, in which players take the role of the defense attorneys and try to defend their clients. 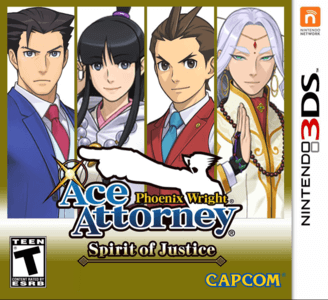 Phoenix Wright: Ace Attorney - Spirit Of Justice performs a bit better than Dual Destinies, but it still performs poorly on powerful hardware. The bottom screen still flashes, but is interactive, which makes the trials playable. The text boxes are still not seen.